Mai Time Cleaning is a family owned and operated business that has thrived for over 18 years around the Frankston, Brighton and Mornington area. We offer a friendly, reliable, personal service and always strive to uphold our reputation for excellent service. To us, the customer comes first; we’re here to do things that the other cleaning companies won’t. We get the job done, so that you can live in domestic bliss! We’re here to make sure nothing gets overlooked in your home or workspace. Our clean and hygienic domestic and commercial cleaning service goes all the way. As well as quick and efficient top-to-bottom mopping, vacuuming and dusting, we’re here to do what others won’t, including washing linen, ironing and more - our versatile service is here to cover all your needs. We also recognise that every space and home is different so, before we start, we’ll consult with you and organise a customised cleaning plan that will be delivered, in full, every time. 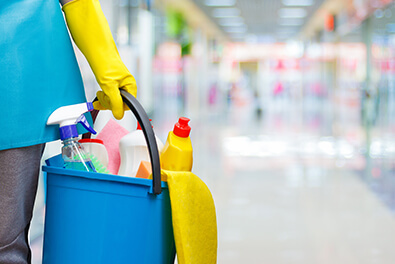 Our cleaning staff will always make sure your space is left immaculate to ensure the smooth running of your day to day activities and if there are any issues, we’ll resolve them straight away. Choose this service for all round worry-free domestic bliss: keep your home running like a well-oiled machine. 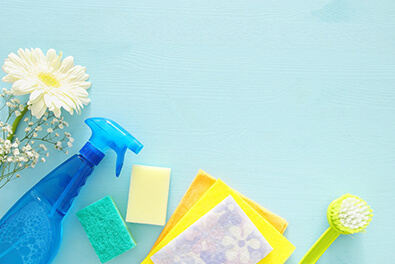 Look to our spring cleaning service if you’ve just finished renovating your home, are moving out, have been away or even if you’ve just had a party. Whatever the reason, our spring clean service offers a full deep-clean of your kitchen, bathroom and living space. We’ll get down to clean the dirt from every corner, cupboard, crack and tile: no stone is left unturned, no surface is left unclean. We often recommend our clients book a spring clean on their first job to ensure a consistently clean and hygienic space from day one. This way, you know there are no hidden nasties, and we can keep the space in-check and maintain an ongoing neat and clean area for the client. We’ve been operating for over 18 years here at Mai Time Services - no job is too tough for us. Often overlooked and ignored, clean windows can really set the standard for your home or business. Our experienced window cleaners can blitz across the surface area of your window glass to brighten up your living space and ensure your building is always looking shiny and new. 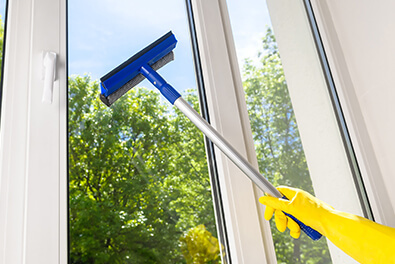 Our skilled staff deliver a quick and efficient window cleaning service so that you don’t have to stretch thin your time or arms to polish through this time-consuming chore yourself. As well as domestic window cleaning, our commercial service makes sure you’re enjoying clear views throughout your office and ensuring your storefront looks spotless with a hand from our sparkling window-cleaning work. Using time-tested products and methods, our reliable, high-level of service means that you’ll never be disappointed after a job, and if you notice anything awry, our staff will fix it up straight away. Let the light shine in! No job is too big and no grime is too crusted-on for our experienced domestic and industrial oven cleaners. Use our oven cleaning service to stay on top of your kitchen hygiene and to extend the life of important and expensive appliances. 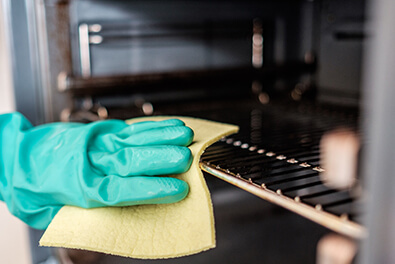 We have the know-how to refresh and detail any kind of oven using our safe, hygienic and environmentally-friendly products, our years of experience and a bit of good old-fashioned elbow grease. We work hard and fast from the beginning until the end of the job to leave your kitchen looking, smelling and working in top condition. Book this as a regular monthly, weekly or daily clean, or even just for a one-off when you feel like your appliance could do with a refresh. Our years of expertise and our staff’s detailed, thorough approach will mean you have more time to worry about the priorities in your home and business and spend less time worrying about the small details - we’ve got them covered. Our personal shopping service is here to save you time so that you can focus on more important work or leisure activities. Always going the extra mile, we’ll seek to fulfill any order you give us. 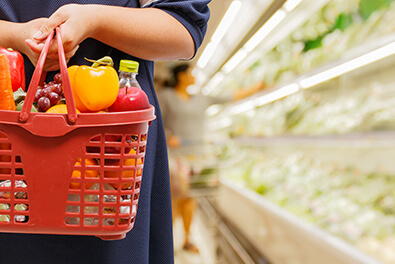 Clients find this service particularly useful for the elderly who aren’t able to make it to the local shops, and families with elderly members use the service to make sure their parents are looked after when they can’t be present. We’ll safely and securely transport your goods to and from the commercial centres to your home. It’s always handy to have someone on call to make sure that your needs are fulfilled even when you’re stuck; essential items like pet food, medication, groceries - you name it - we’ll grab it, saving you time and energy for the things that matter. I have been using Mai Time Services for over 6 months. Over the years I’ve had a few different cleaning teams service my house (I am on a once every 3-4 week reoccurring clean), and all of their staff have been awesome. They are thorough, fast and pay high attention to detail. I’ve dabbled in trying several different companies but found most of them milk your wallet without producing many results. Mai Time are different. I've never felt like they were milking the clock! Their employees come in and get to work and get the job done quickly and more effectively than all the other companies we’ve worked with before. We’ll be using Mai Time for a long while to come. I’ve been using Mai Time for over two months now. I am over-the-moon with their service and attention to detail. Our first crew used for our initial cleaning set the bar high for the following cleanings. Every time they have come we have been so happy with the results. My husband, who tends to be very picky, was also happy and says this is the best group we have used by far. Want to get a free, no obligation quote on a job, or just find out more about our services? We’ll be happy to be of assistance - contact us via phone or email.